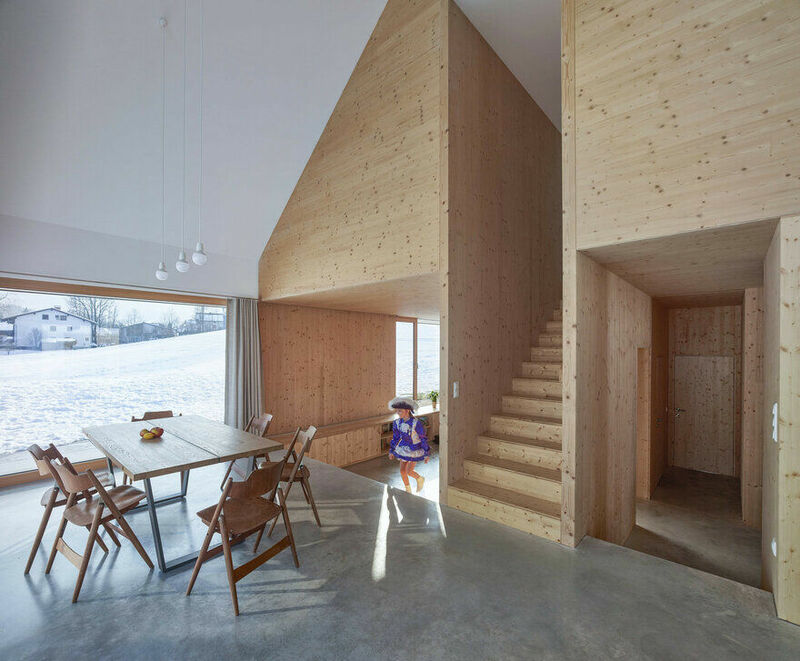 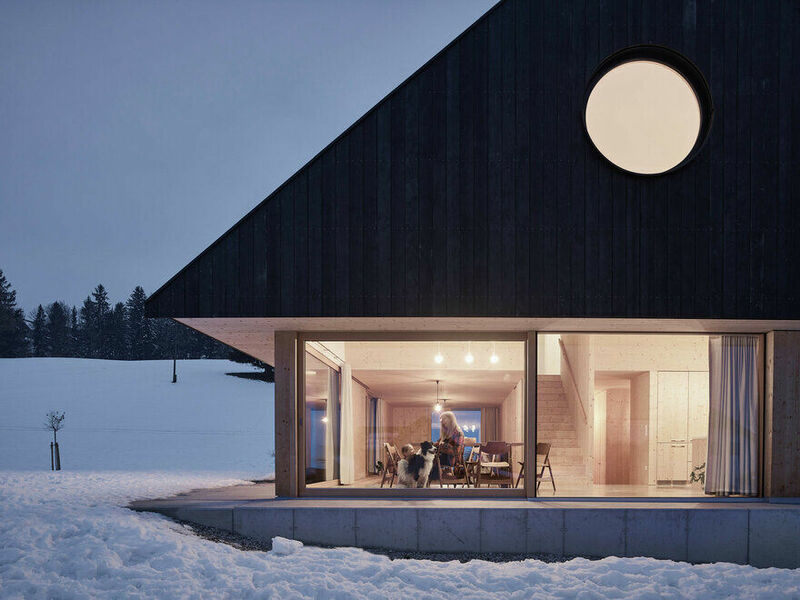 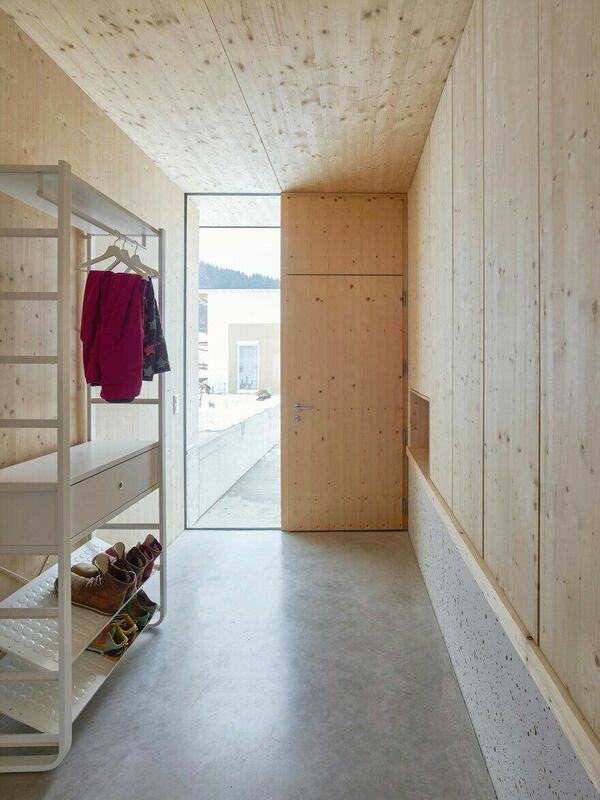 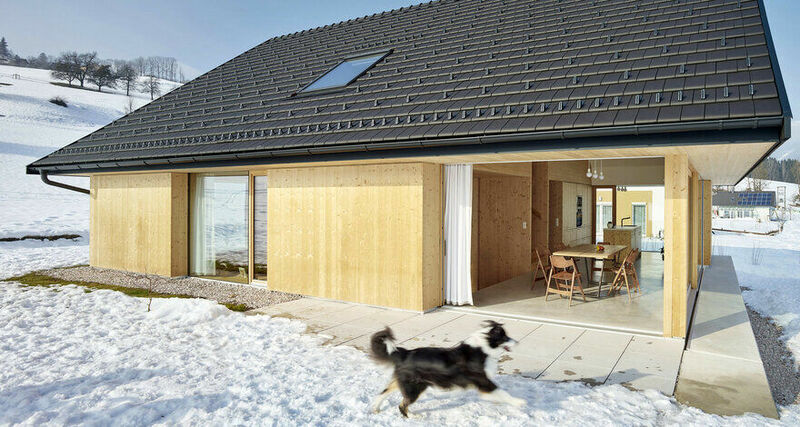 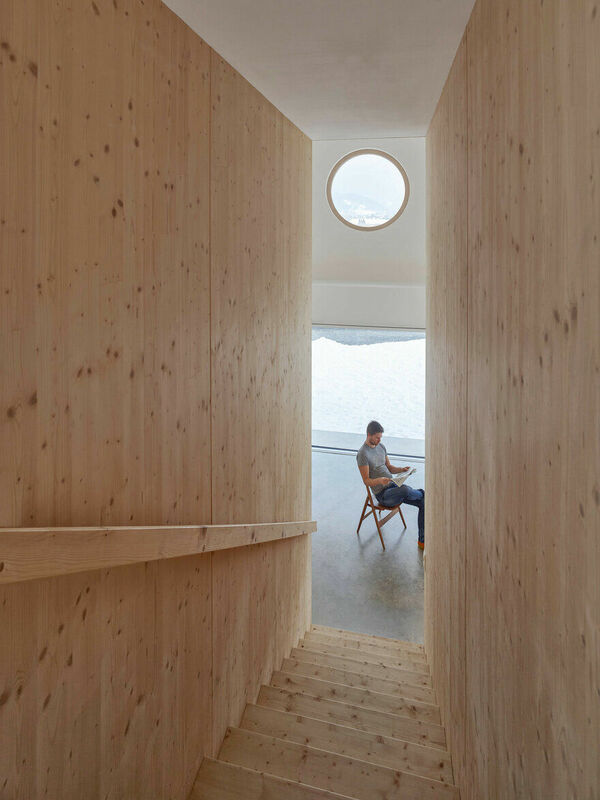 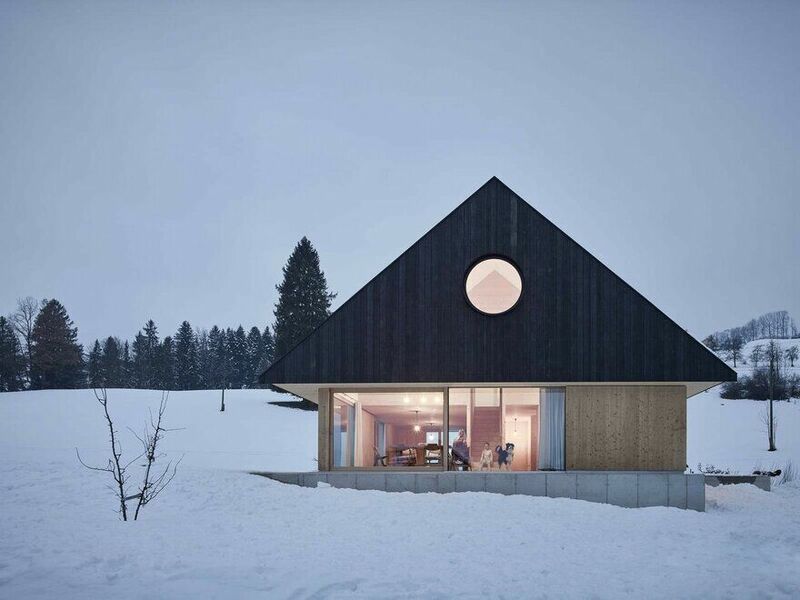 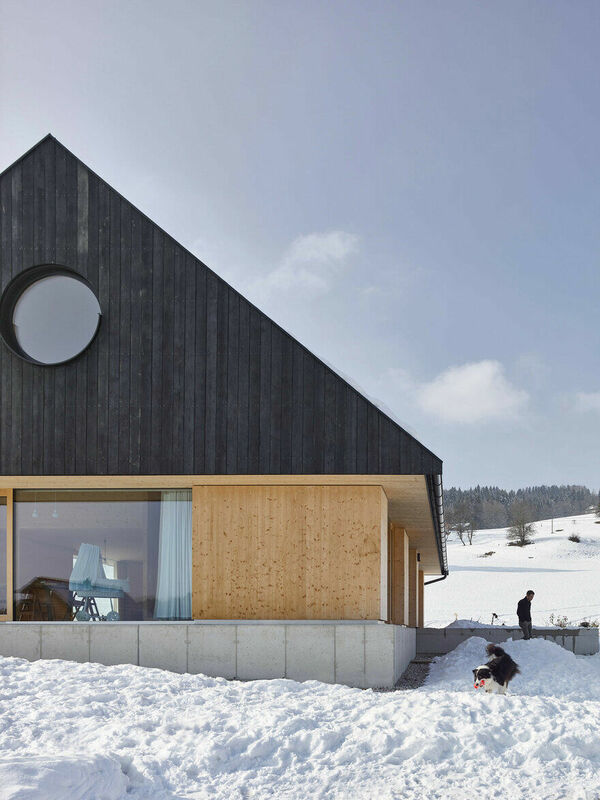 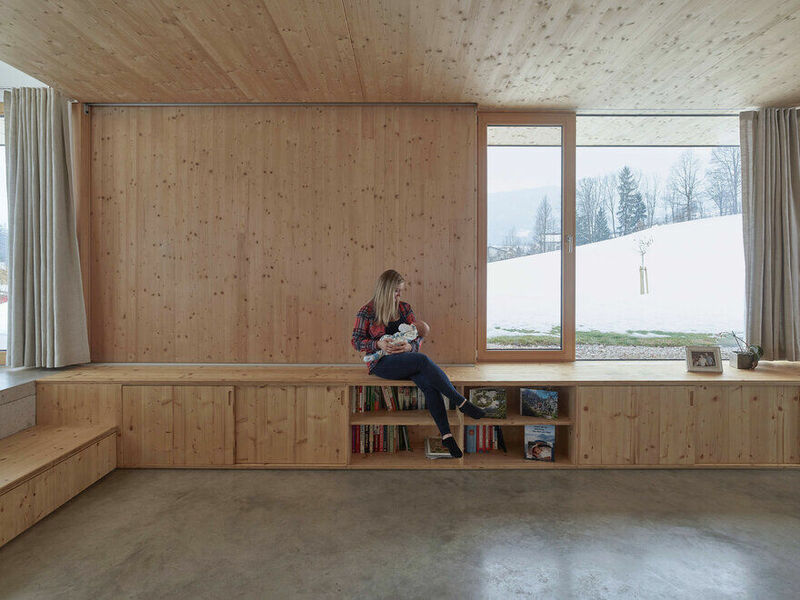 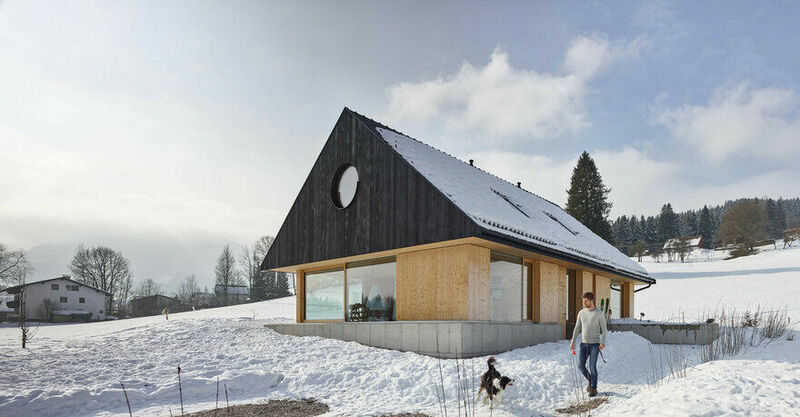 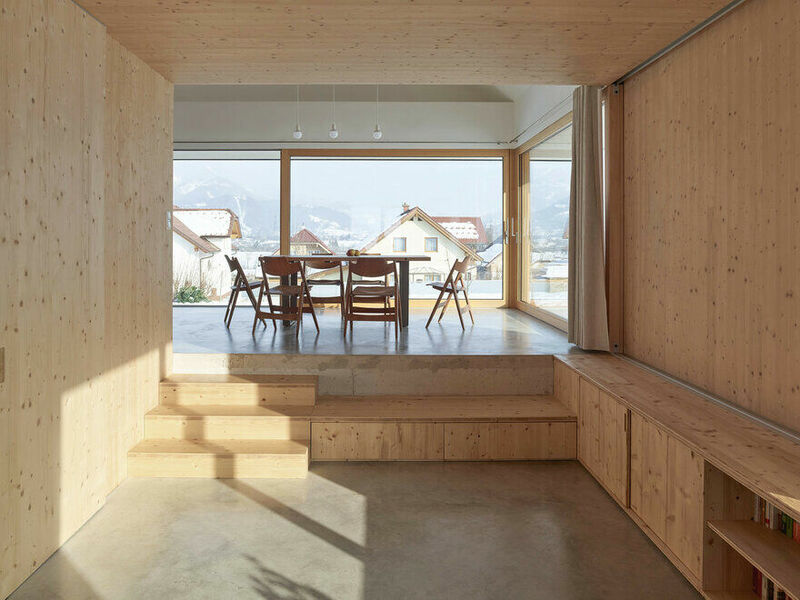 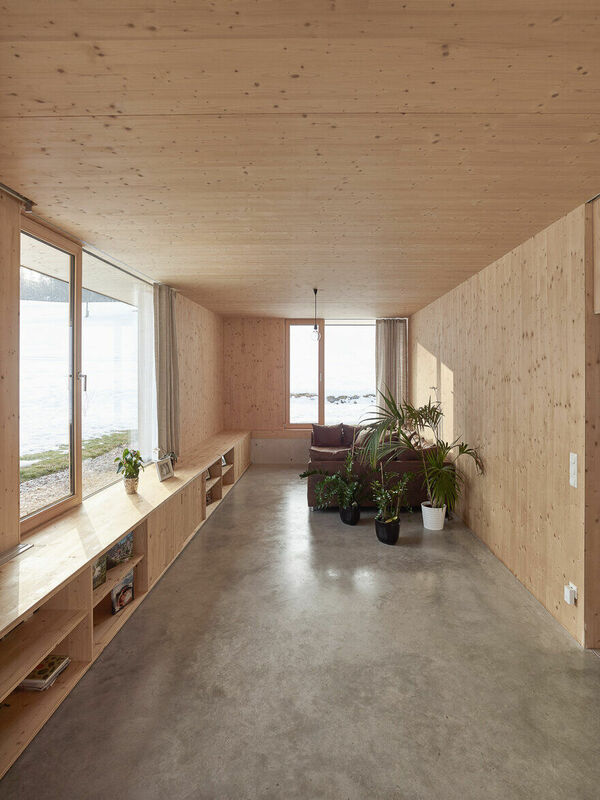 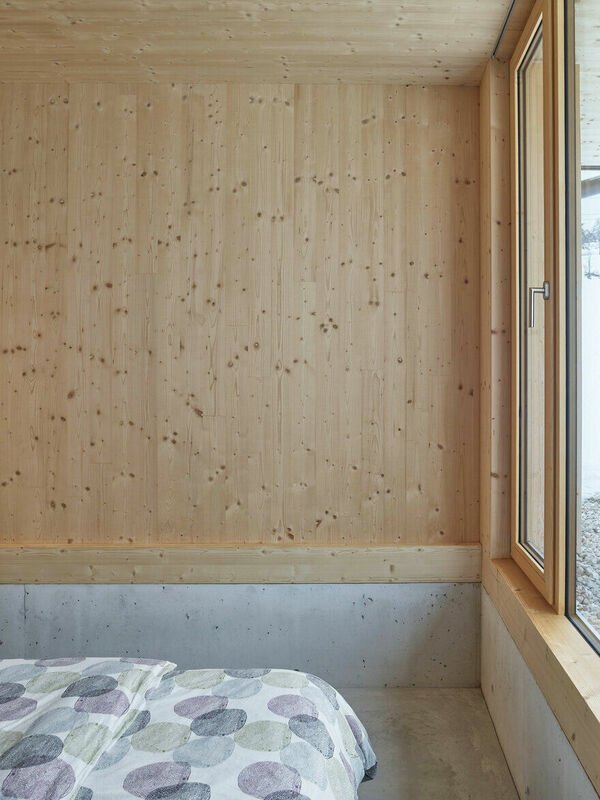 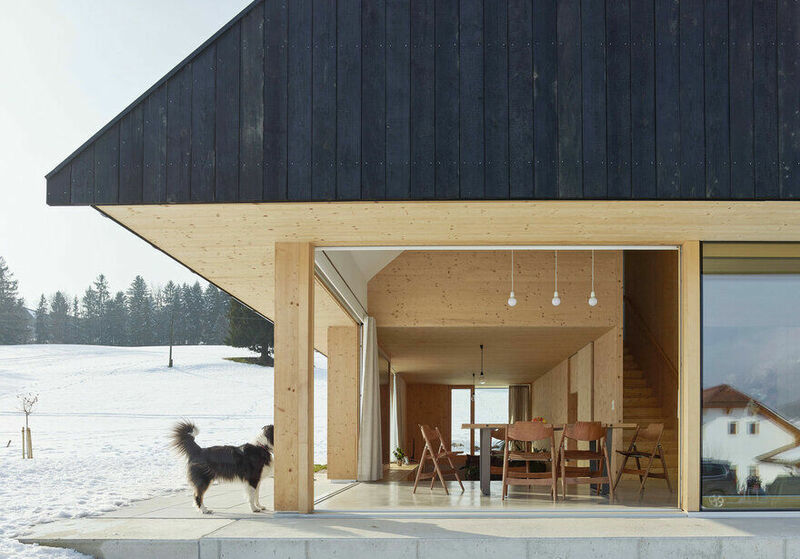 „Timber House with Gable“ is located on a slope site on the edge of a small settlement with a beautiful view on Pyhrn-Priel-Region, an alpine region in Upper Austria. 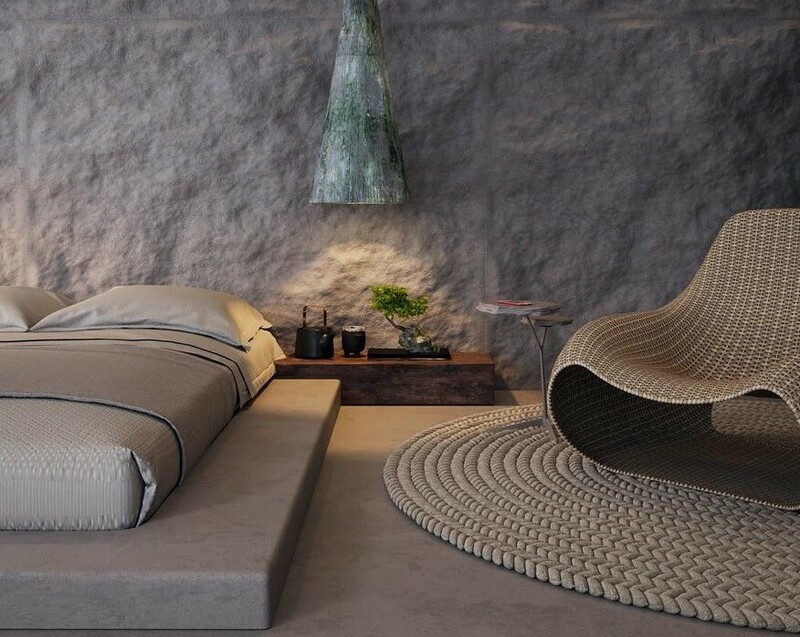 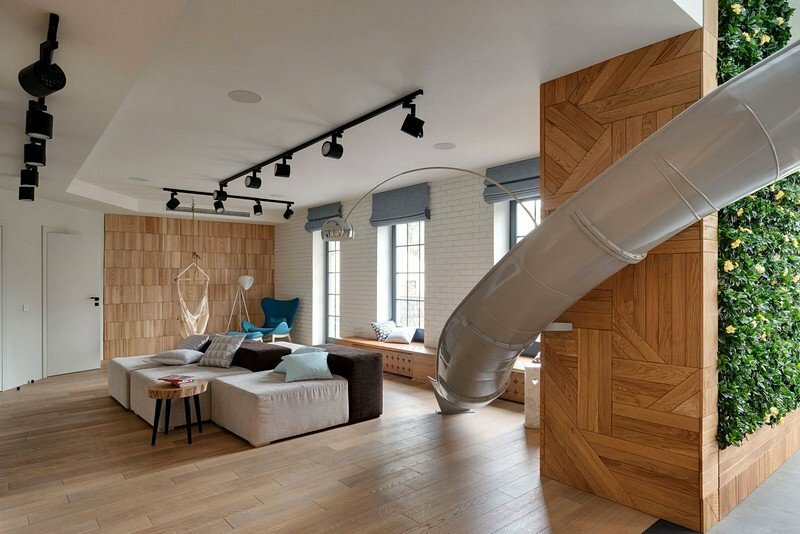 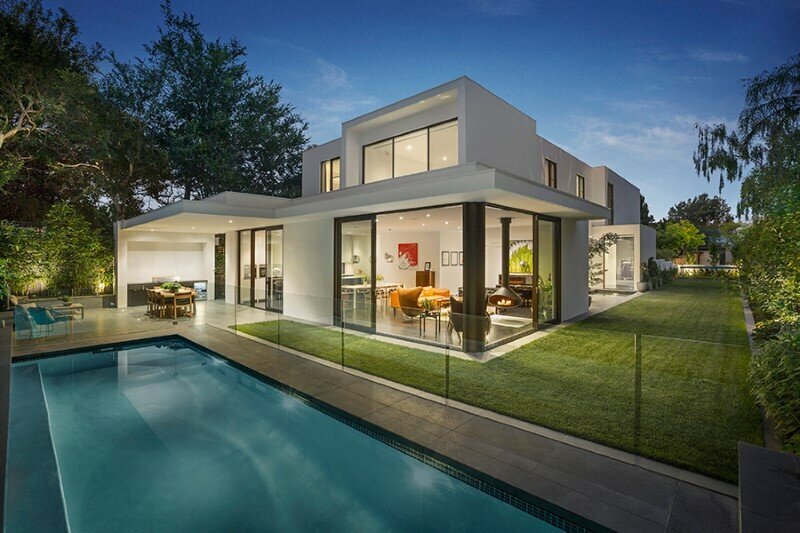 The private builders wanted to create a house that harmoniously matches the surroundings and brings the outdoors inside. 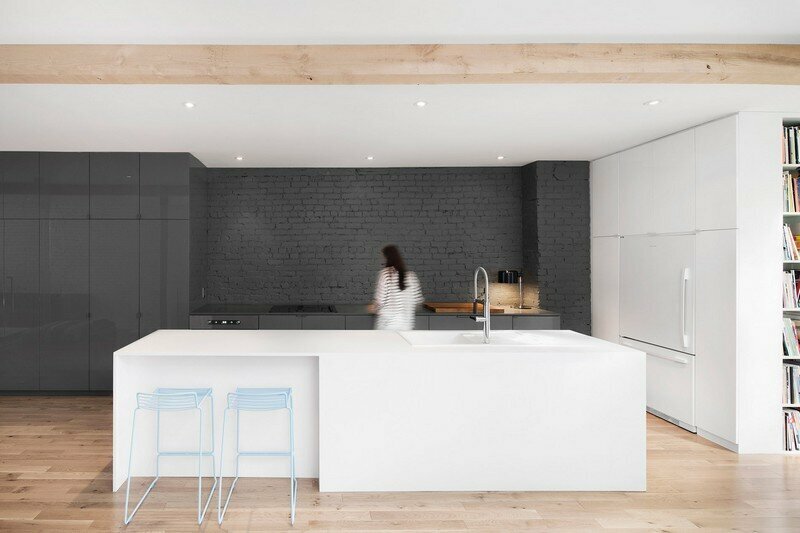 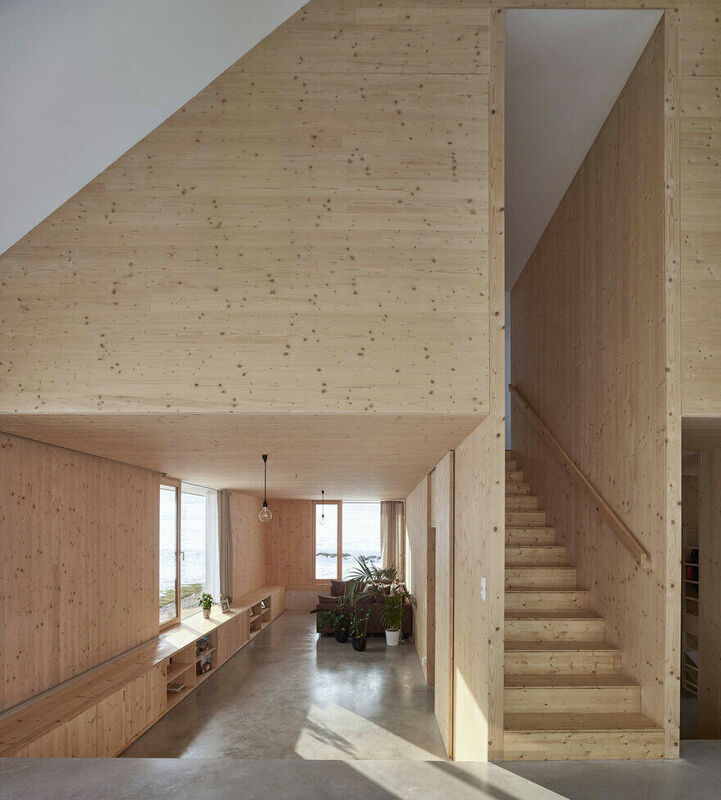 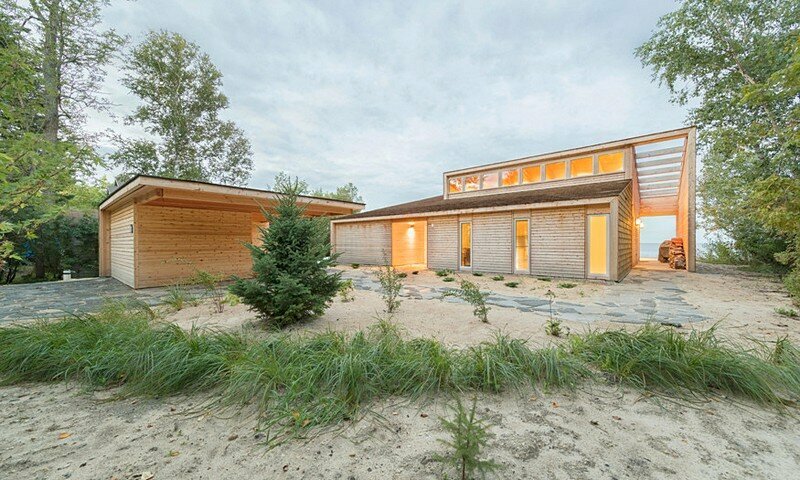 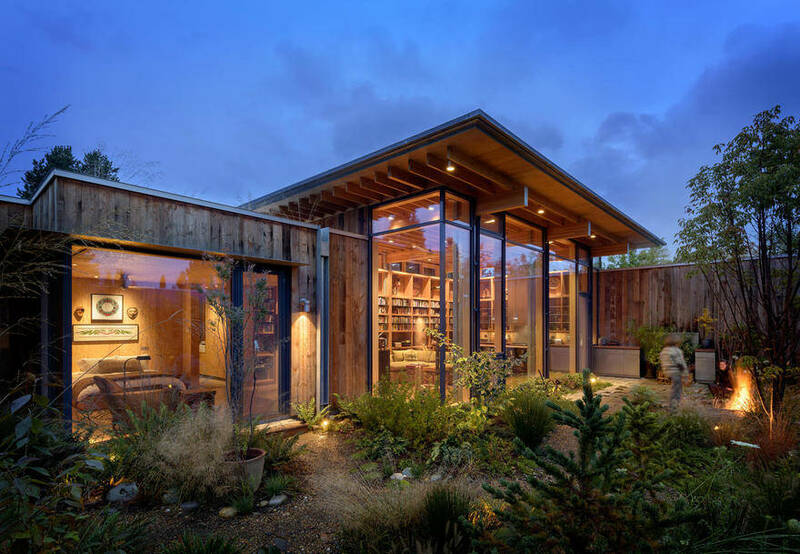 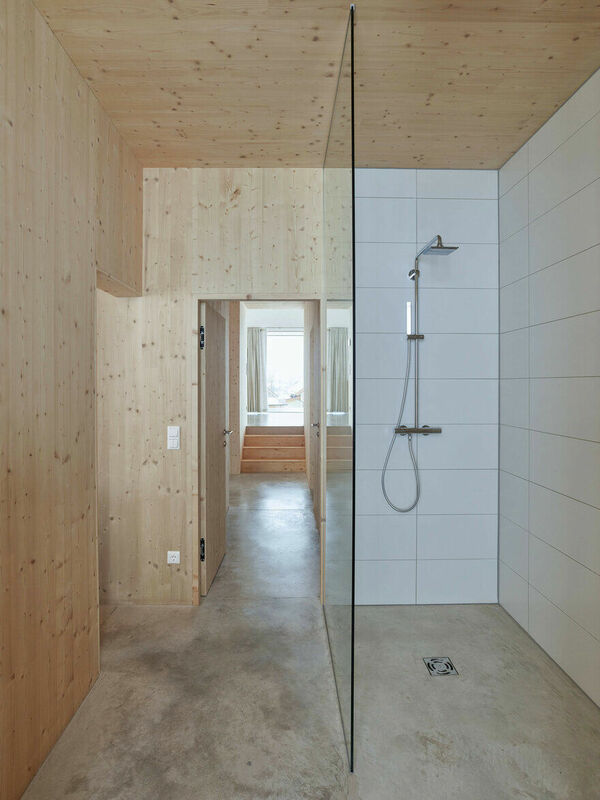 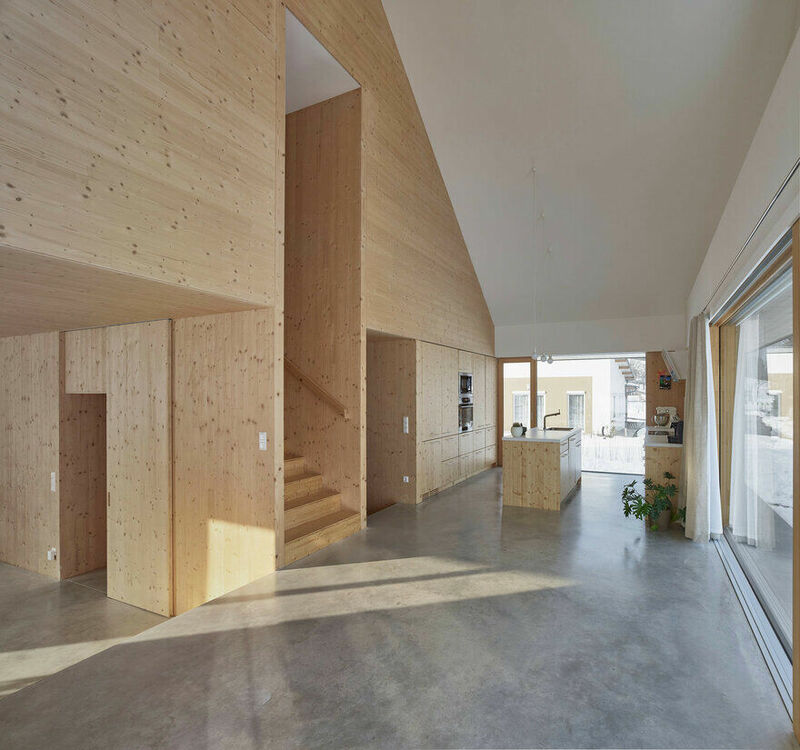 The young family requested a calm, clear architecture made of wood, concrete and glass.